Maruti Ertiga was on display at Auto Expo Show 2012 that took place sometime back in Delhi. I happened to check out this new mini MUV car, Maruti Ertiga ZDI out there. I am really fond of cars and went there to check out what’s new on the scene. This top end diesel variant drew my attention. Though I am not a big fan of Maruti cars (like any other lover of stylish cars) but this product was actually different from what these guys have made earlier. It really impressed me. This is a small MUV actually and could seat merely 5 people. But its interior-side looked and felt spacious enough, had enough legroom and headroom too. Maruti has nicely used Japanese style technology to make it so spacious. They have also used good quality material in upholstery and dash. There were dual-tone beige interiors that aren’t typical of Maruti cars. Since, this is their diesel variant, it will not be taxing on the users pocket too despite of higher initial cost. I don’t need to mention that after sales services of Maruti is by far the best in India and that is an added advantage with Ertiga. 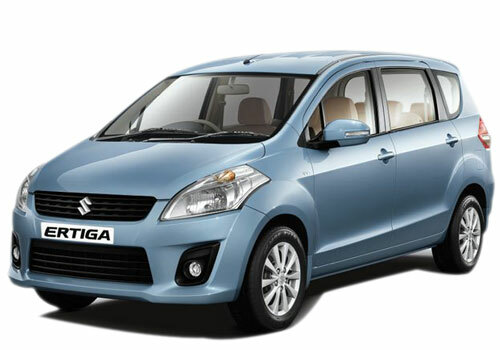 On the whole, Maruti Suzuki has really put in a lot of effort to make Ertiga look good. This is an achievement for the company, indeed!